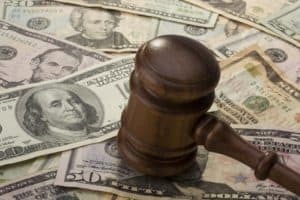 My child with special needs just received a settlement from a lawsuit. What do I do now? Adults with special needs often receive SSI and Medicaid to help cover the costs of their living and medical expenses. Some of them have been disabled as a result of a personal injury or medical malpractice. Either way, a settlement from a personal injury or medical malpractice lawsuit needs to be handled carefully so your child with special needs, no matter his or her age, keeps much-needed SSI and Medicaid benefits intact for life. A self-settled or first party special needs trust must be established by the individual with special needs if they have capacity or by their parent, grandparent, guardian or the courts. Only the child with special needs can be the beneficiary. If a self-settled trust is not in place and a child with special needs receives a settlement that would increase his or her countable assets to more than $2,000, then public assistance will be reduced or eliminated altogether. The trust prevents that from happening. Self-settled trusts are different from third-party trusts, which also protect public assistance. A self-settled trust must include a provision directing the trustee, if the trust contains any funds upon the death of the beneficiary, to pay back anything the state Medicaid program has paid for the beneficiary. Also, the rules governing permissible distributions for self-settled special needs trusts can be more restrictive compared to third-party special needs trusts. Once the self-settled special needs trust is formed, it can be funded with the settlement money received from the personal injury lawsuit. A self-settled trust can limit the kinds of payments its trustee can make for the child or adult with special needs, and often requires an annual accounting report to the Illinois Medicaid agency. Something to note: A self-settled special needs trust is typically not an option for adults with special needs who are over the age of 65. Despite the limitations, setting up a self-settled special needs trust for your child or adult child with special needs is a great way to ensure he or she receives deserved compensation from a personal injury lawsuit. And, most importantly, it keeps public assistance like SSI and Medicaid in place. Contact an experienced special needs planning attorney today to discuss establishing a special needs trust. Rubin Law is the only law firm in Illinois exclusively limited providing compassionate special needs legal and future planning to guide our fellow Illinois families of children and adults with intellectual disabilities, developmental disabilities, or mental illness down the road to peace of mind. For more information, email us at email@rubinlaw.com or call 866-To-Rubin.